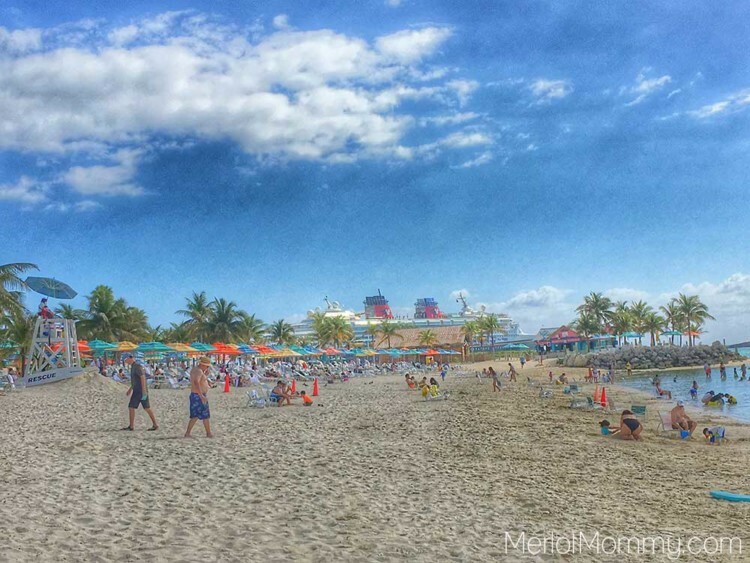 Disney’s Castaway Cay, the private island for Disney Cruise Line, is a great place for family fun of all ages. 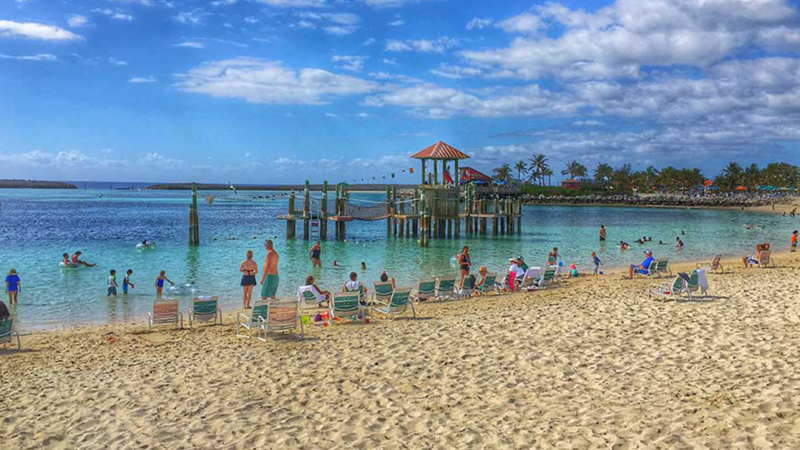 From completing the exclusive Castaway Cay 5K to swimming to snorkeling or relaxing at the adult-only beach with beverages and an ocean-view massage, Castaway Cay offers it all. 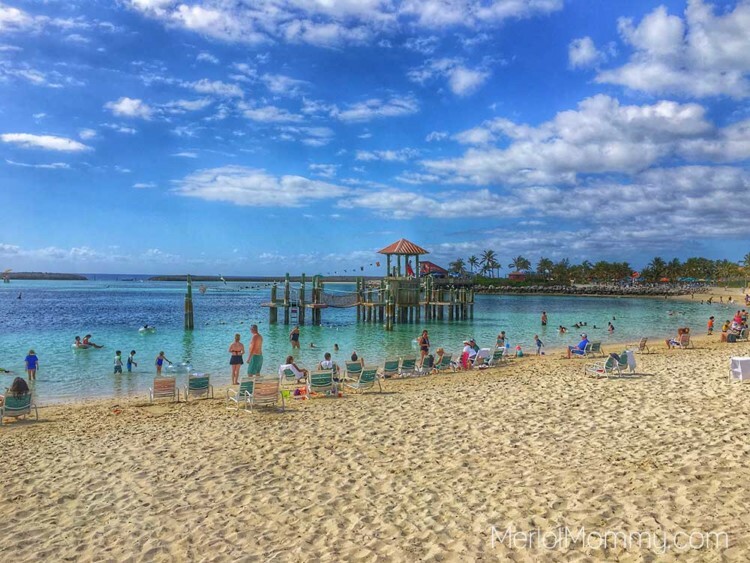 Whether you’re cruising with your kids or you’re vacationing with your extended family, you’re sure to have fun with these 9 best Castaway Cay activities. Family fun is something Disney lovers come to expect from Disney. When you cruise with Disney Cruise Lines, the magic you experience in the parks is carried through to the seas in family memories and character experiences. We recently sailed aboard the Disney Wonder as part of the invite-only Disney Social Media Moms Celebration Land and Sea event. This 6-day event was 2 days in the parks and 4 days aboard the Disney Wonder, where we sailed to the Bahamas and spent two fun days at sea and one day at Disney’s private island, Castaway Cay. 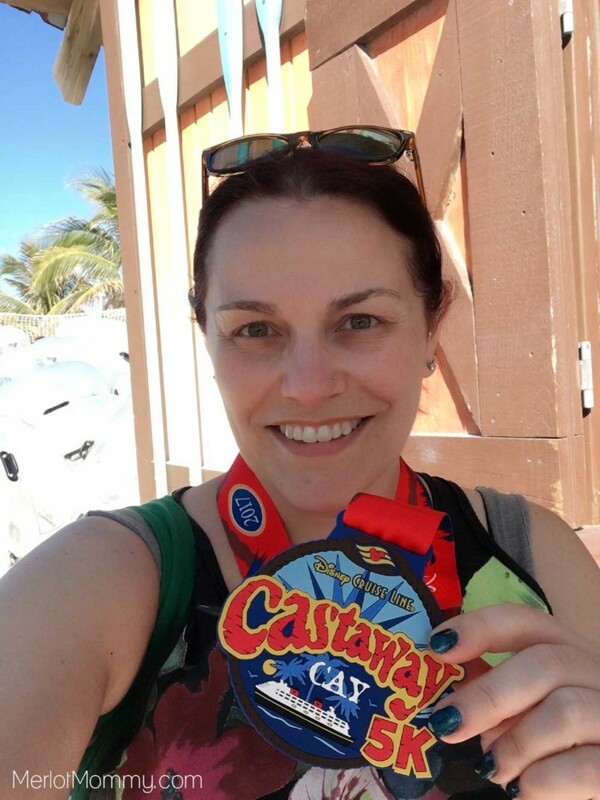 Whether you are a family of runners or just want to try something new, you can sign up for the runDisney Castaway Cay 5k. 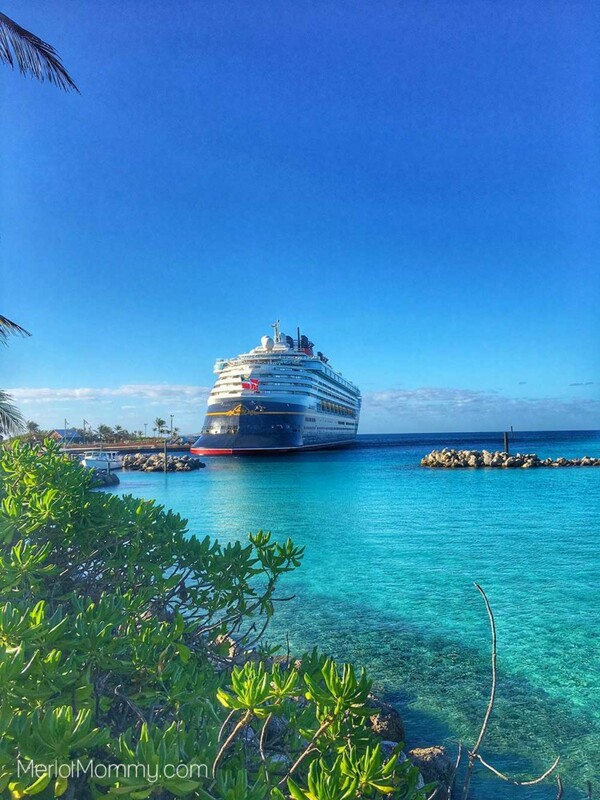 Unlike other runDisney events, the only way to participate in the Castaway Cay 5k is to take a cruise to the island, so this is almost a once in a lifetime opportunity and a great Castaway Cay activity for the family. We completed the Disney Castaway Cay 5k as a family. My 71-year-old mother, 11-year-old daughter, and I power walked our way through the Castaway Cay 5k fun run, making it a multi-generational activity. It was a first 5k for both my mom and daughter. Talk about making multi-generational memories the Disney way! While on Castaway Cay, lunch is served in a style similarly to the buffets onboard the cruise ship. During a window of time, BBQ lunch is available at two locations on the island. Standard BBQ fare and a few local favorites to give you a taste of the region are offered. Ice cream was available most of the day, just like at the Eye Scream onboard the ship. I think my girls had ice cream four times on the island. There’s also a “secret” dining option on the adult-only Serenity Bay beach area. All across the beach access areas, there are beach chairs with umbrellas and closer to the walkway there are hammocks scattered throughout. We camped out at a spot with a hammock. It was bliss. I took a lovely 2-hour nap in a hammock. Simply wonderful. There are private cabanas available for rent on Castaway Cay. They have a very limited number available, so you need to book them early. I tried to book one, but they were all sold out by the time we were booking activities. Looking for a place to stash the little for a bit so you can explore for a bit or take a shore excursion that the littles are too young for? Scuttle’s Cove is the Castaway Cay kids club where your littles can be cared for as much of the day as you want or need. We dropped my 9-year-old off while we did the Castaway Cay 5k, and she loved being able to play beach volleyball and play on the splash pad. There are other activities, too, and they’ll feed them if you opt to leave them during the lunch hour. The Scuttle’s Cove kids’ area is staffed by the same Disney counselors as on the ship at the Oceaneer Club, so your children will already have a rapport with the staff if they’ve visited the club on the ship, which is a nice way to ease the transition from ship to island. Have you ever wanted to play on a playground in the water? This is your chance! There is a 2,400-square-foot play structure right in the ocean! Climb and slide away as you would on any land play structure, complete with two water slides and a dump bucket for all the water fun you can imagine. What a blast! If you are traveling without kids or you want to leave your kids in the Scuttle’s Cove, you should check out the adult only Serenity Bay. We took a quick jaunt over to the Serenity Beach to check out the luxury and peacefulness that is the adult-only beach. Grab a drink at the Castaway Air Bar or a bite to eat at the Air Bar BBQ. Love relaxing on the beach and pampering yourself with spa treatments? You can book an open-air cabana massage overlooking the ocean at the Spa on Serenity Beach. Swedish massage for singles or couples are available on Castaway Cay. Rent almost anything you can imagine to explore the area. Snorkels, goggles, tubes, you name it. You can rent a bike to explore the island or rent snorkels to explore the water. We had friends that saw sea turtles and stingrays while snorkeling. There are several locations on Castaway Cay to get equipment rentals, including Gil’s Fins and Boats and Flippers & Floats. If you want even more adventure, you can book an excursion such as swimming with stingrays, snorkeling, parasailing, fishing, and more. 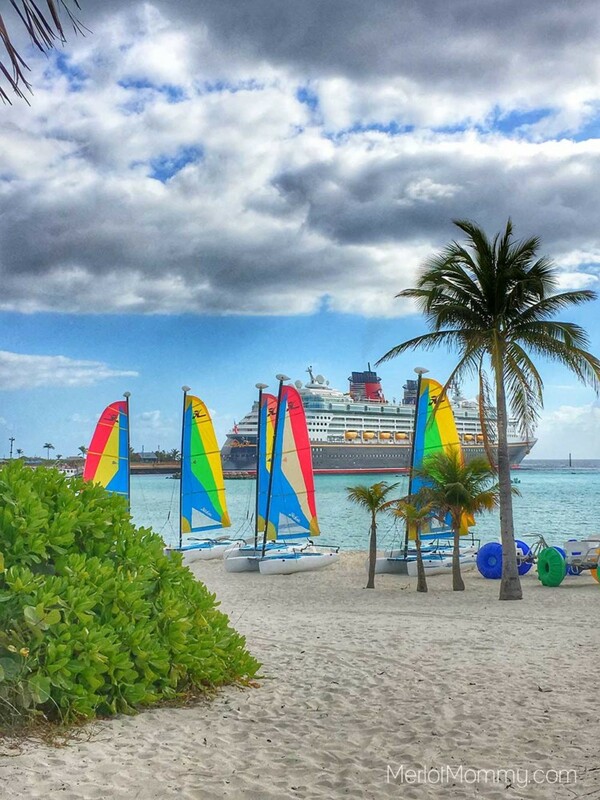 To be transported back at Castaway Cay would be another dream come true! What a wonderful post! Thoroughly enjoyed reading and reminiscing this day all over again! Thank you! I have yet to write about my experience but it will be coming shortly. I’d go back in a heartbeat! I need to plan another Disney Cruise soon! Thank you for all the great information! We are very excited to visit the island in October. 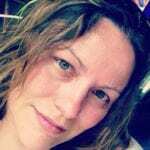 I have a question about the child care on the island. I’ve read some mixed reviews about whether there is enough time to drop kids off at the child care center prior to the start of the 5K. Sounds like you were able to do that. Any tips to make that work? We will have three kids to drop off before my husband and I go run the race. Thanks!